Waking up can be a real struggle for some people. Alarms help, but most of them are so easy to turn off that you can shut them off while you're still half asleep and go back to bed, only to wake up in a panic as your realize you've severely overslept. 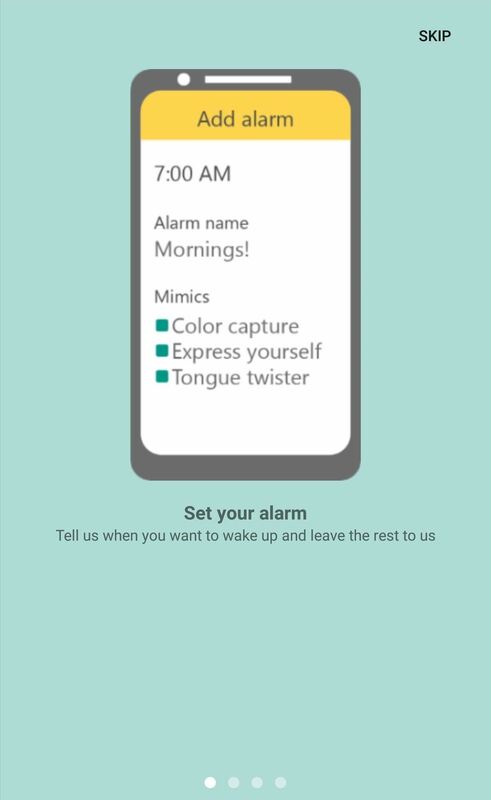 Microsoft Garage wants to make you at least work for your lethargy with its new Mimicker Alarm. 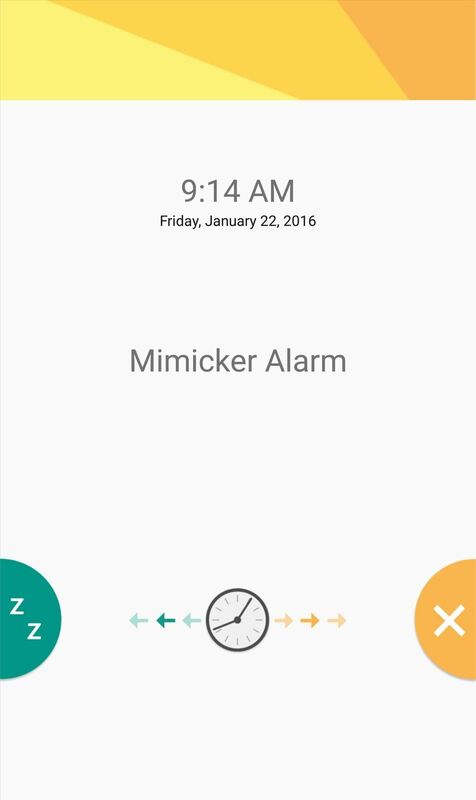 The Mimicker Alarm features three "Mimics," little tasks that you have to perform to turn the alarm off. The Mimics are timed, so you'll have to do them all over again if you fail, which, on the plus side, should help rouse you out of bed. (1) The info guide. 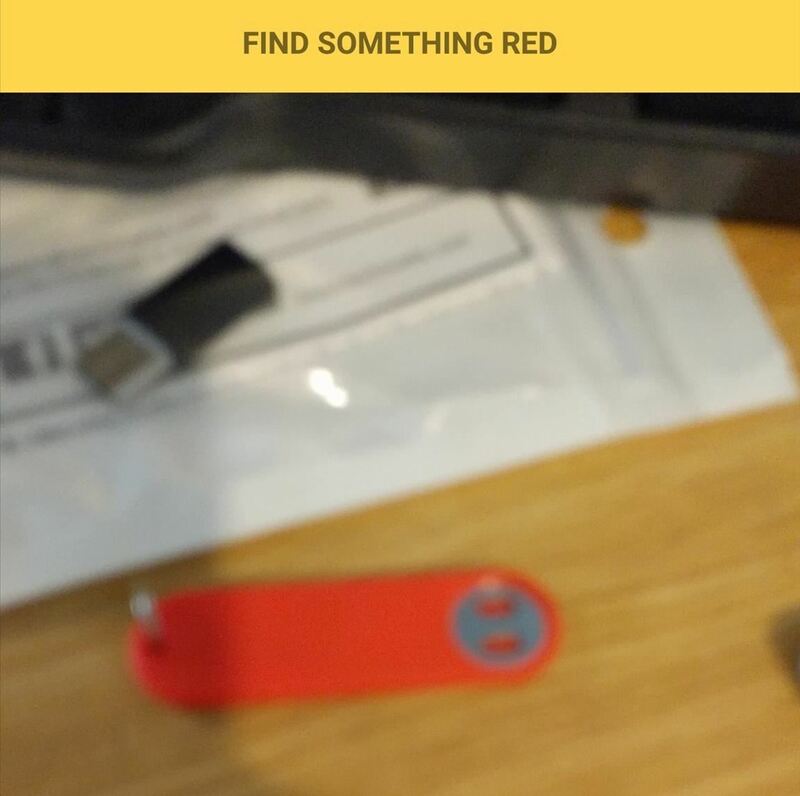 (2) The Mimicker Alarm is set like any other alarm. Color capture has you take a picture of something of a specified color, Express yourself is a selfie mini-game where you are tasked with making a certain expression, such as surprised or happy, and Tongue twister makes you speak a challenging phrase before the alarm turns off. (1) The alarm sounding. 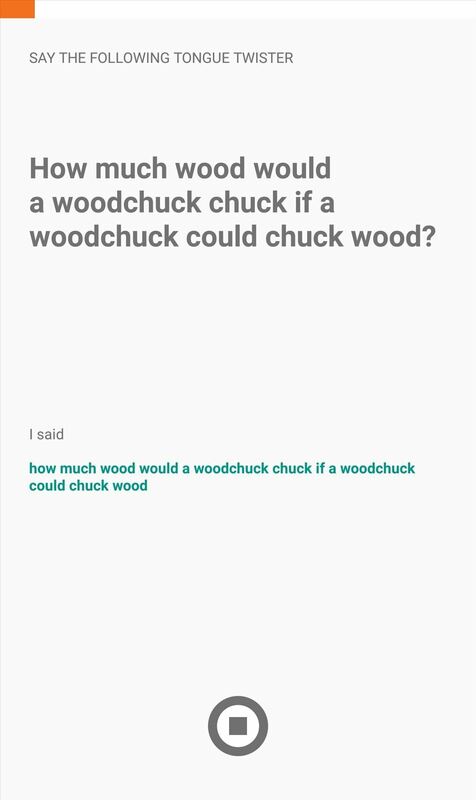 (2) The Tongue Twister challenge can be pretty tricky if you're just waking up. The camera-based Mimics can be a little tough to pull off, since they require a half-decent picture to be taken, and it doesn't look like the camera flash works with the Mimicker Alarm. So, if it's too dark in your bedroom to take a picture, you'll have to either turn on the light or get out of bed and go somewhere brighter. Either way, you're out of bed, which was the point all along. I was obviously too tired to take an in-focus picture, but hey--it worked and got me up. Fortunately by that point, you should be more than awake. Unfortunately, you'll have to complete the challenge or your phone will keep ringing. 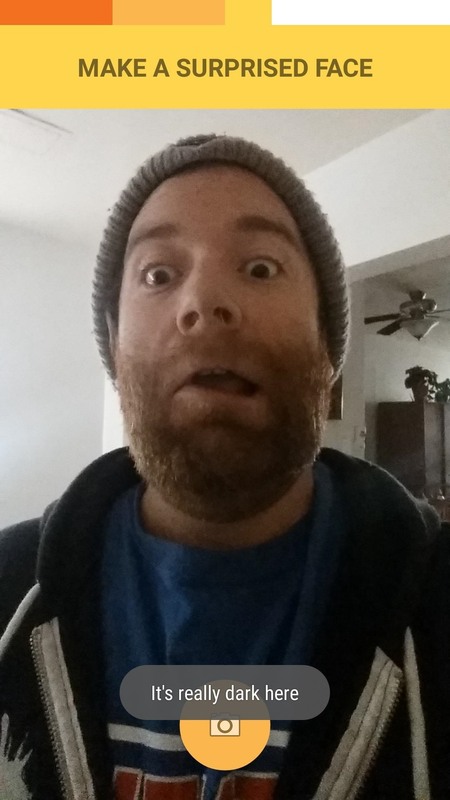 In the event that you take a damn good selfie while you're rolling out of bed, or if you just don't know when to stop posting, you can elect to share your completed mimic on social media sites. The Express Yourself game should make for some funny pictures. 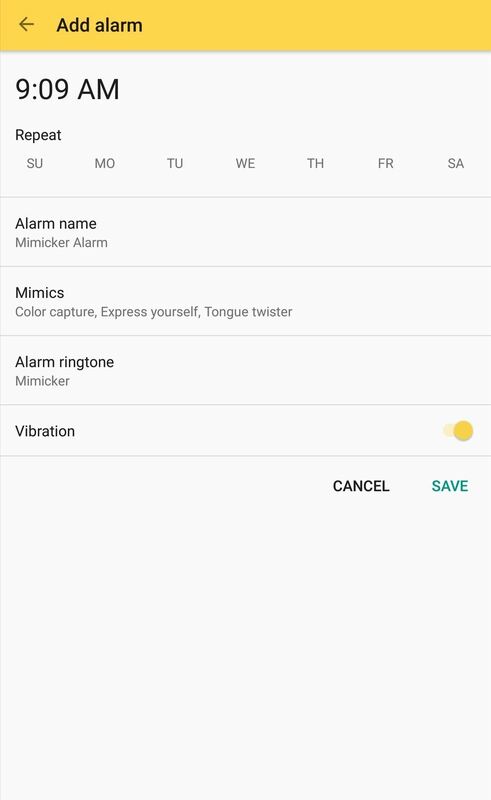 Mimicker Alarm is an open-source app, so if you feel like you've got a good idea for a new Mimic, head over to GitHub to download the code.